Trying to fill up all the walls in a nursery is hard work! THINKING of what to put on all these walls is even HARDER work!! but didn't realize how expensive this could be! And I am not experienced enough with my Silhouette machine to make a tree and print it off myself, so we painted one!! First we had to measure it out, 55x80 is roughly what the dimensions ended up being! Gotta love her hot pink sweats! A few weeks ago Home Depot had this AWESOME sale and we got like 20 pints of Martha Stewart paints for $4.95, all different colors! So we used a brown that came in that pack for the tree paint. Finally my little sister woke up around 2 PM and helped us paint!! She would sleep all day if we would let her! But what 16 year old wouldn't?? I'll do a post about that soon!! FINALLY 5 hours later our beautiful tree is done!! So then I got on the Silhouette Studio and printed off some birds, owls, and leaves on different colored cardstock! I mix and matched the papers to give all my little animals character! My first instinct was to modpodge these little creatures onto the wall, then when we actually thought about it a few years down the road when we want to take the things OFF the wall it might be kind of difficult. After I applied this adhesive spray on the back of my creatures I started sticking them in place! My fingers got super sticky after spraying this stuff so I had to use a ruler to push down the birds so I didn't get them dirty! How cute is that owl?? Here is what I thought was the finished piece..
Then I thought that my tree needed some more leaves to fill it in!! And HERE is my finished piece! I am so very happy with this finished project!! So this project cost less than $20!! Go us!! I love how it turned out! Kinsley will love her room. 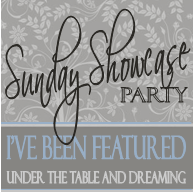 Linking from Crafting with the Stars, and I'm definitely going to become your newest follower to see what other great things you have in store! Good luck with the competition. p.s. You'll get more commentors if you turn off the "comment verification" feature...just one extra step for people wanting to show you some love. ;) Aloha! This turned out great! 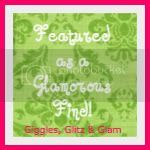 Thanks for linking up at Giggles, Glitz & Glam! Turned out really cute! I'm really into these sweet birds right now too! How fun and love that you did it without the high price! I am a professional muralist...and your DIY is adorable! That helps me. I have been thinking about a tree like that with photos of family members on it, but wasn't sure how to mount them. Modge podge was my only thought, but I didn't want to ruin the wall. I will pickup some of that spray mount! Very cute! What a great idea to use that spray mount. I LOVE IT.... very cute! This came out so beautiful!!! I just painted a tree on my bathroom wall and the kids think it's so fun!! LOVE this!! My daughter's nursery is birds- maybe I need to add a tree:) Thanks for auditioning! I love it!! I'm getting ready to start on a tree in my daughters room so this post had perfect timing!! I will be posting it when it is finished over on my blog, A Home Made by Kiki. I'm your newest follower and I would love if you followed me too! Can't wait to see what other crafty things you have planned! I linked to you today. I started a tree too... mine will have photo on it. Getting the spray mount today. Gorgeous! You did a great job!! Thanks for sharing this. If I can only paint a tree with branches as good as you guys did, haha. I love the silhouette cut birds/owl/leaves. Super cute! 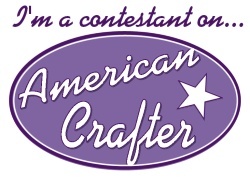 Stopping by to say hi from the American Crafter Auditions! AND I am a new follower =)! Wow that turned out great. Excited to be in American Crafter with you. Very cute! I love the birds. 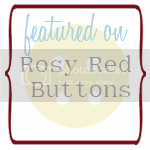 Guest Post!!! Making things with Chalk Paint!! First Blog Swap With Kassi From Truly Lovely!!! 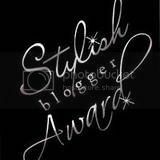 Making a Signature for Your Blog!!! GUEST PROJECT-- Make Feather Headbands with Amy! !